Due to use of specialty ingredients or extended prep time, you can’t just sit down and order up these dishes. However, a little advance planning will yield a big payoff. Call ahead to reserve these spectacular specialties – you won’t be disappointed. Meet the most decadent mac ‘n’ cheese in the country. 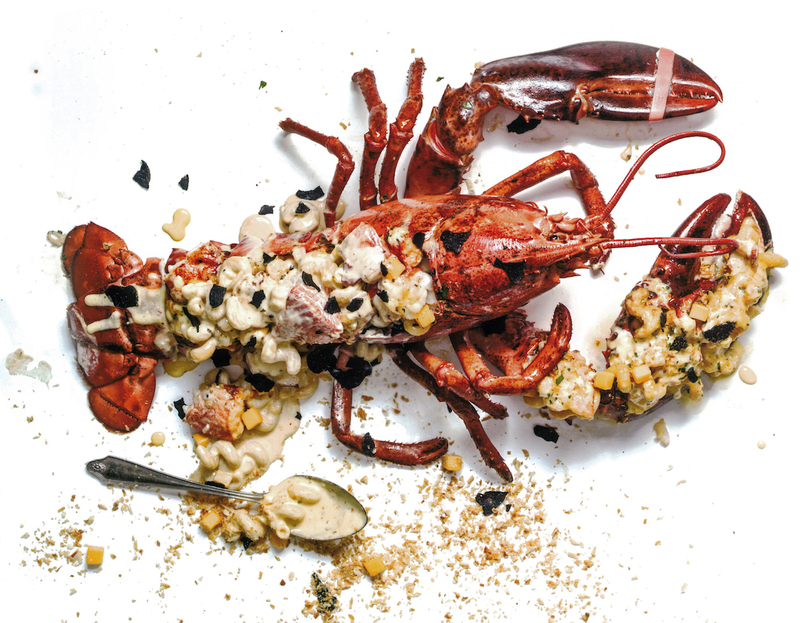 A five-pound Maine lobster is stuffed with truffled mac ‘n’ cheese enriched with lobster sauce and coronated with freshly shaved black truffles. It’ll set you back $195 — but it’s worth it. To order: Call the restaurant at least two days in advance at 305-672-8881. 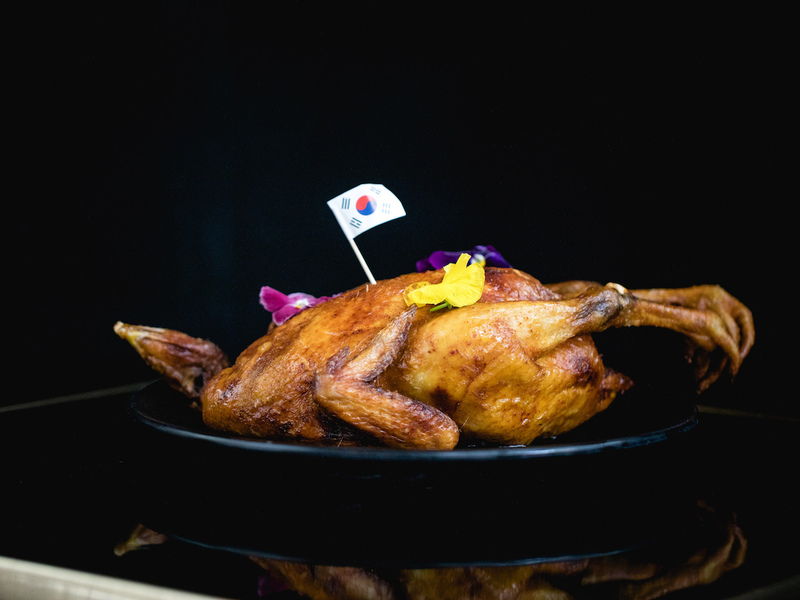 Make a reservation at Barton G.
A marinade-rubbed chicken gets stuffed with herbaceous glutinous rice based on a recipe from chef-partner Esther Choi’s grandmother. 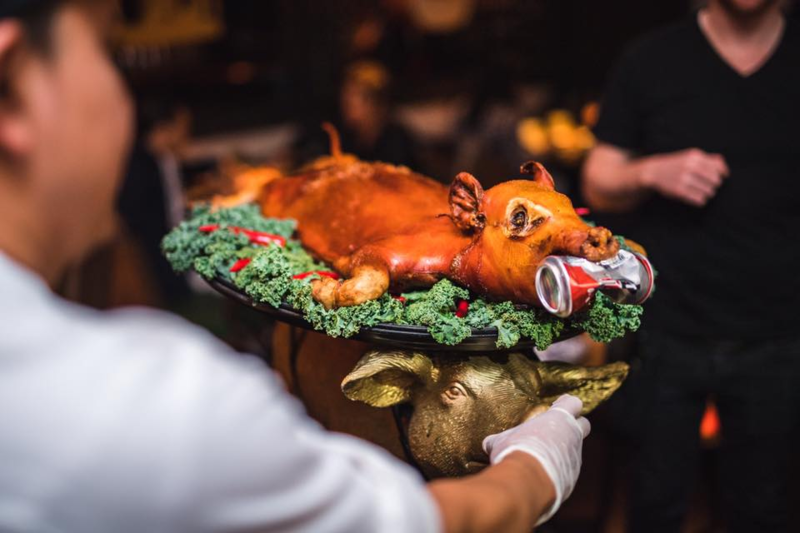 Then it’s slow roasted, deep fried, and served whole. It’s accompanied by pickled daikon kimchi and gochujang dipping sauce. To order: Call the restaurant at least two days in advance at 917-261-2490. Make a reservation at Ms. Yoo. This chicken goes on a journey before it gets to your table. The bird gets a 24-hour koji brine followed by two days of air-drying. After getting stuffed with miso butter and slathered with shiso chimichurri, it’s cooked sous vide for 13-15 hours. 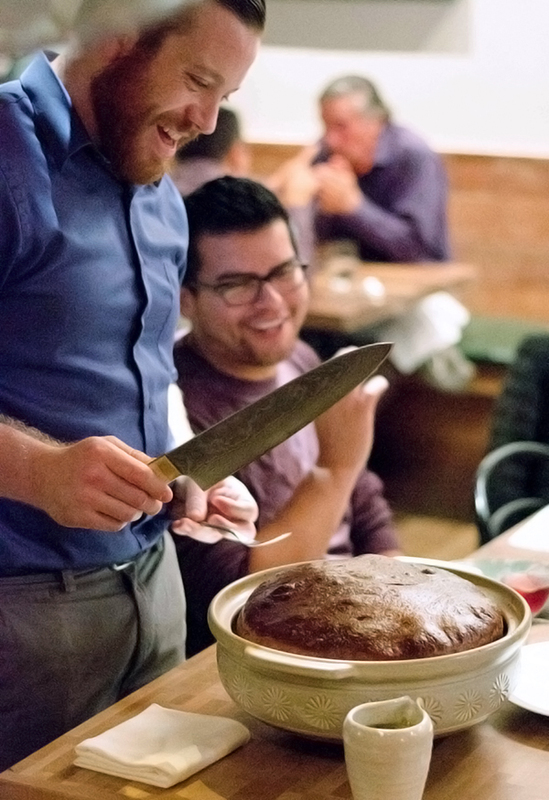 It rests for another day, before it’s wrapped in brioche dough, placed in a clay pot, proofed, baked, and presented fresh out of the oven (serves four). To order: Call the restaurant at least 24 hours in advance at 415-655-3280; only six are available each day. Make a reservation at Nomica. This meal puts the epic in epicurean. Begin with guacamole, quesadilla, tuna ceviche, roasted corn salad, or the house chopped salad. Move on to the whole roasted pig, served with fresh corn tortillas and salsas, roasted sweet potatoes, jalapeño cheddar corn bread, and chipotle mac ‘n’ cheese. Finish with a selection of sweets – and a contented rub of your belly. To order: Call the restaurant at least three days in advance at 212-229-2336. Make a reservation at Bodega Negra. Not your average chicken and waffles. 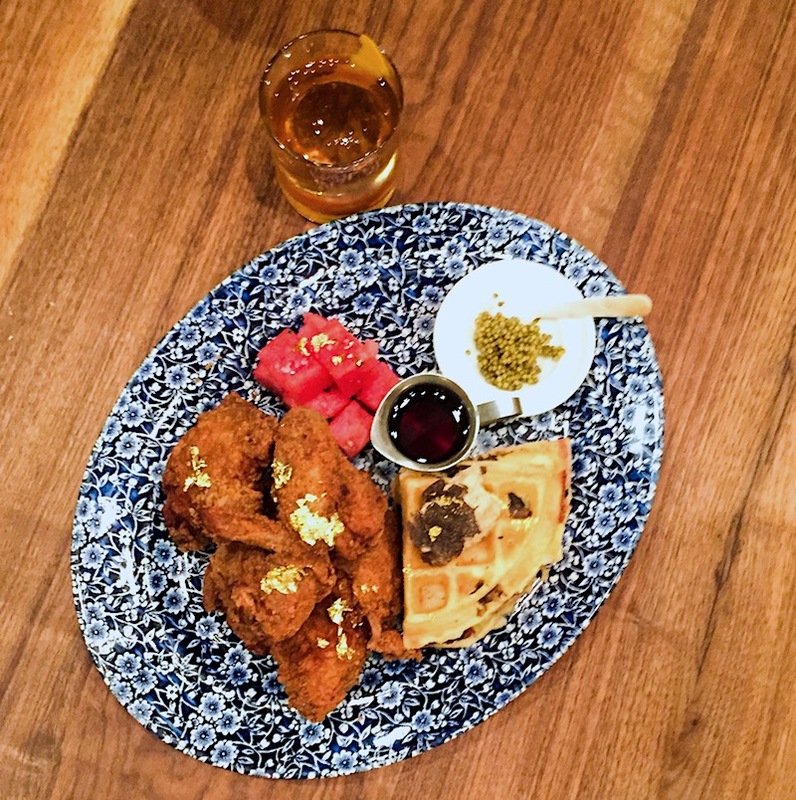 Fried chicken rests on a truffle and bacon waffle along with caviar, maple foie gras butter, bourbon maple syrup, and rosé infused compressed watermelon. For a touch of bling, the dish is sprinkled with edible gold leaf. To order: Call the restaurant at least a day in advance at 702-297-6541. Make a reservation at Yardbird. Have you had any restaurant dishes you need to order in advance? Share the details with us here or on Facebook, G+, Instagram, Pinterest, or Twitter. And, remember to snap + share your #dishpics with us on Instagram for a chance to win in our weekly giveaway. Nevin Martell is a Washington, D.C.-based food and travel writer and the author of several books, ononincluding Freak Show Without A Tent: Swimming with Piranhas, Getting Stoned in Fiji and Other Family Vacations. Find him on Twitter @nevinmartell and Instagram @nevinmartell.